Grandmaster Han firmly believes that the Youn Wha system is the best system available because of its completeness. The goal was to create a system that allowed for empty or weaponed hand style that combined several arts into one. His unique opportunity to train and master several martial arts along training under three famous martial artists of his time helped to shape what we call Youn Wha Ryu. His first teacher Master Son was a traveling monk who educate him in meditation and martial arts. Most of the training Grandmaster Han went through was the strengthening and sensitizing of the mind. His training consisted of focusing the mind through meditation and qigong or breathing exercises. Six years later, he asked his master for permission to go see his parents. Allowing him the opportunity also would mean he would see Master Son for the last time. His second instructors was a man known as Byung In Yun. Master Yun taught Grandmaster Han a system called Kong Soo, one that predated Tae Kwon Do. Grandmaster Han began training under Master Yun at the age of 13. At the same time, he met Sae Chong Wang. Master Wang was his Youn Wha instructor. Although the Youn Wha system contains forms, it is mainly a mixture of high level fighting techniques from all the martial art. During this same time Grandmaster Han also studied Hwarang-do, Kendo, Hapkido, and various weapons. He has attained an 8th dan in Hwarang-do, 7th dan in Kendo, 8th dan in Hapkido, 4th dan in Judo and has trained extensively in 24 different weapons: rope, throwing star, double sticks, short stick, six foot staff, Hapkido cane, tonfa, sai, and others. He was also on the Board of Directors in the Korean Tae Kwon Do Federation in its early days. 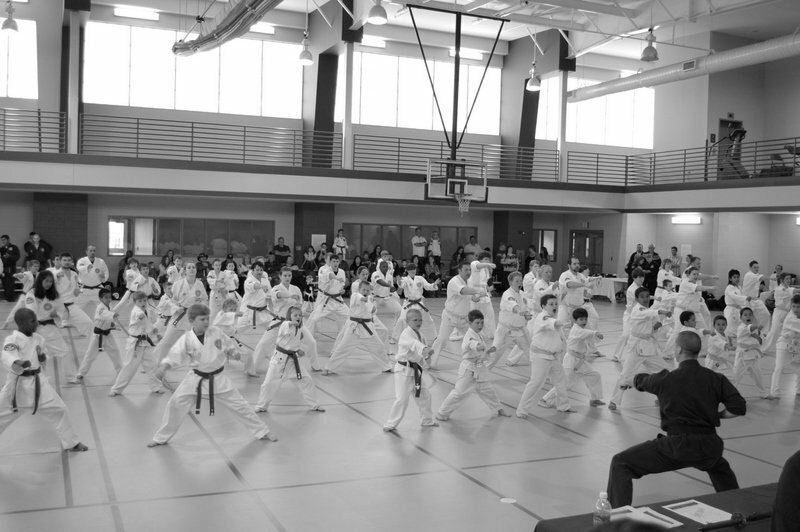 He helped design the Palgue forms presently used by the World Tae Kwon Do Federation. During his tenure with the Korean Tae Kwon Do Federation, Grandmaster Han was appointed president of the North Province of Seoul. Besides his martial arts credentials, Grandmaster Han served as a Special Tactics Instructor for the Korean Intelligence Agency, teaching martial art techniques to the Korean military. Master Han was also asked to train the 7th US Army Infantry Division from 1970 to 1972 in hand to hand combat and served as Close Combat Instructor for the 2nd Army Infantry Division from 1972 to 1976. In 1976, Grandmaster Han and his family made the choice to immigrate to the United States. His first encounter with the U.S. was New Jersey. From there the Han facility moved to Tennessee, Florida, and in 1978, to Dallas.